Clocking in at just under two hours long, "Forbidden Empire", released in Russia under the title "Viy", is a beautifully-made fantasy movie. 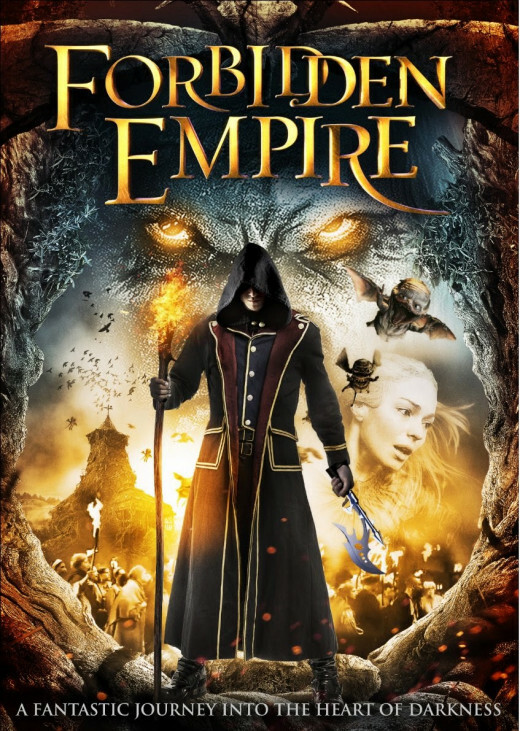 In the same vein as movies such as "Brothers Grimm" and "Sleepy Hollow", "Forbidden Empire" blends dark fantasy together with period drama and costume. My expectations of this movie were high to begin with and, although it admittedly did not entirely live up to those expectations due to a disjointed, often confusing plot line and a few other minor problems, I nevertheless believe that it is enjoyable and worthwhile watch. Original, interesting creatures, great visuals, good action scenes and actors such as Charles Dance (Game of Thrones) certainly make "Forbidden Empire" stand out. 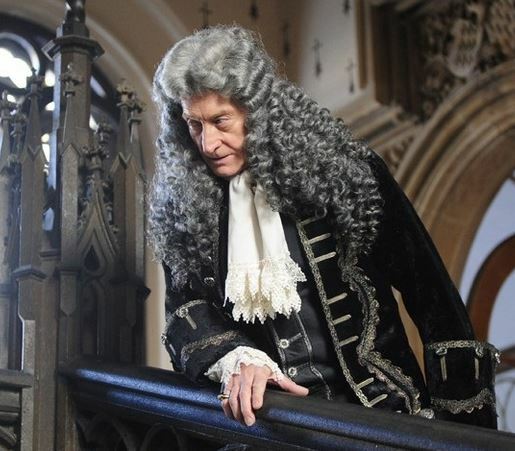 The story takes place in the 18th Century and begins with scientist and cartographer Jonathan Green (Jason Flemyng) having to flee the home of Lord Dudley (Charles Dance) after being discovered in bed with his daughter. Green then embarks upon a quest to map the world, beginning with Europe. However, while passing through dense woods in Central Europe, he finds himself in a small village populated by superstitious townspeople who have warded themselves against an evil they perceive to reside within a nearby church. Green, a self-proclaimed man of science and not of superstition, is initially skeptical of the villagers' claims but soon finds himself being drawn into a dark world of devilry and witchcraft. Often unable to distinguish clearly between what is real and what are just figments of his imagination, Green must work to discover the true nature of the evil that lurks among the villagers. First of all, let me say that "Forbidden Empire" is not an adaptation of Nikolai Gogol's short story, nor is it a remake of of the 1967 movie "Viy". Therefore, I am judging it based upon its merits as a standalone movie and not, as many critics appear to do, comparing it to Gogol's story or the 1967 adaptation. First of all, I will focus on the negative aspects of the movie. It becomes clear quite early on that it was initially produced with foreign dialogue. Thus, when it was released outside of Russia, it was dubbed. The dubbing is poor and the obvious lack of sync between what is being said and the lip movements of the characters can be very distracting at times. The only exceptions are in Charles Dance's scenes which brings me onto my main criticism, the plot. The story is told largely through letters sent by Green to his love Miss Dudley. Unfortunately, the way this is done often makes it feel as though the scenes with Lord Dudley and the scenes with Green are two separate movies. Furthermore, the main storyline itself is highly complex with a lot to follow. There are scenes that are certain characters' recollections and other times in which the viewer is left wondering whether what just happened was real or not. Overall, the movie lacks a solid plot and comes across as essentially a complicated, disjointed mess though a nevertheless enjoyable one. Charles Dance as Lord Dudley in "Forbidden Empire"
Despite the problems I mentioned above, "Forbidden Empire" is still a pleasure to watch due in no small part to the great visuals and the highly interesting, original monsters the movie depicts. First of all, the monsters. 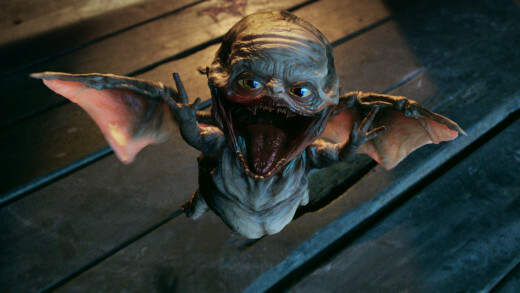 Numerous scenes in this movie have the characters going up against all manner of creatures from witches, to demons, to spectral wolf-like creatures. And the thing that really makes them stand out is the originality. Many of the monsters I have never seen before in any form of media. A scene set around a meal table particularly stands out as the townsfolk begin to turn into hairy trolls with cloven-feet and headless shamblers amongst other nightmarish manifestations. 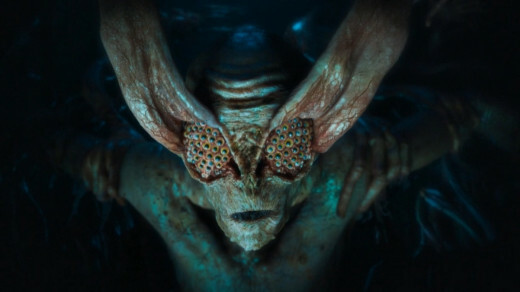 The small pale flying creatures and the large bug-like nightmare with the extra-long eyelids are other monsters that really stood out for me. Overall, the creatures and the effects used to create them are stunning, though CGI effects may have been overused slightly in this regard. This leads me onto the visual effects which are remarkable considering the low budget that was used. Suitably dark and fantastical, the visual effects compliment the movie perfectly. In addition to the monsters, the visuals surrounding scenery such as the dark forest and the village evoke an almost horror-like feel. Furthermore, the aesthetics surrounding the action sequences are spectacular and make these scenes truly enjoyable to watch. There are some examples of mediocre effects such as a particular flying scene towards the beginning of the movie though, on the whole, "Forbidden Empire" is highly visually appealing. Finally, I must mention the great action sequences and horror themes. Though this is not a horror movie I do believe, contrary to the opinions of many other critics, that the moments in which horror is used are well executed. A scene towards the beginning of the movie in the church is a good example though I won't spoil the surprise. And there is not a dull moment when it comes to action. 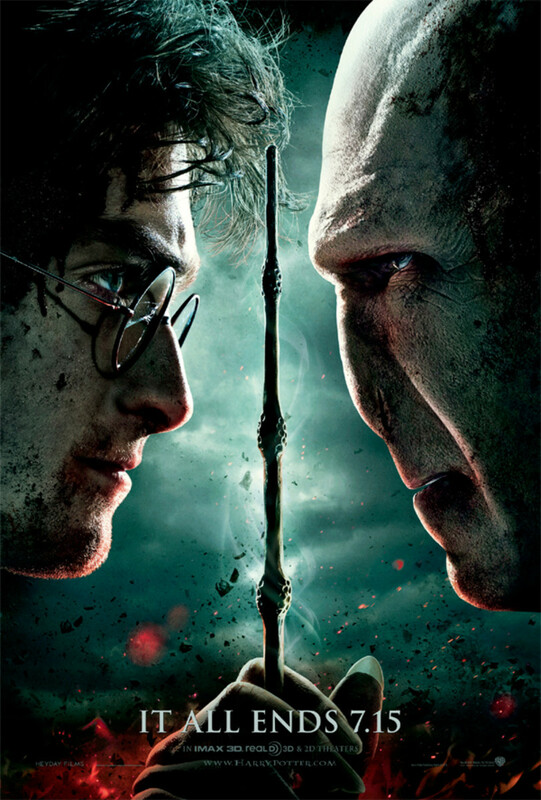 Complimented perfectly by the afore-mentioned special effects, the action sequences are where this movie truly shines. One example is the scene in which Jonathan Green's carriage is being chased by hundreds of spectral dog-like creatures. These scenes had me almost literally on the edge of my seat and really make "Forbidden Empire" stand out amongst its peers. The troll-like creature from "Forbidden Empire"
Arguably the most intimidating creature in "Forbidden Empire"
Another terrifying monster from "Forbidden Empire"
On the whole, I really enjoyed "Forbidden Empire". 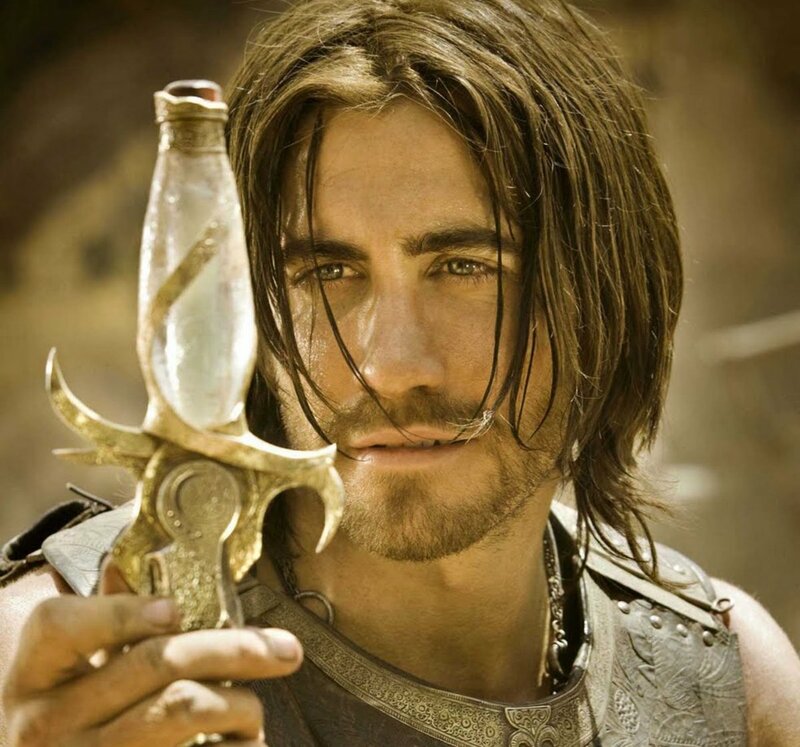 Though it does have its problems, it is nevertheless an entertaining and very good dark fantasy movie. I would certainly recommend it to fans of fantasy movies though if you are not a lover of fantasy and/or you are looking for a horror movie then you may be disappointed with this one. Though it has horror elements, it is not a horror movie nor (as already stated) is it a remake of the 1967 movie "Viy", as many negative reviews seem to believe it is. Overall, "Forbidden Empire" as a standalone movie is a highly entertaining offering. Though the plot is disjointed and confusing at times, and the dubbing is poor, the visual effects, original monsters and overall feel of the movie make this one a pleasure to watch.